Cultural Front: From RapGenius to Cultural Historian to Marketing Analyzer? From RapGenius to Cultural Historian to Marketing Analyzer? How can RapGenius transform a mild-mannered annotator into a marketing analyzer? That's one of the questions I asked myself as I was annotating A$AP Rocky's "Quick Ain't Fair" lyrics from Adidas's CrazyQuick commercial. A while back, I was brainstorming ways to more effectively utilize RapGenius in my classes as an instructional tool. I was dissatisfied with what I was coming up with, and in retrospect, I think that's because I did not have enough experience with the site as an active participant. The process of annotating "Quick Ain't Fair" has been helpful and given me more to consider as an online annotator (though the label "RapGenius" does sound hipper than online annotator). When I began annotating the piece, I was inclined to read a little more about the background on A$AP Rocky and discovered that he was born "Rakim Mayers" in Harlem in 1988. Having that first name in Harlem in 1988 clearly meant, in my mind at least, that his parents named him after the legendary rapper Rakim. Quick searches of articles confirmed my guess. The beat for the commercial is from A$AP Rocky's popular song "Goldie." In my annotation, I was inclined to link the explanations to some of the larger histories of African American expressive traditions, especially the verbal practices of black men. 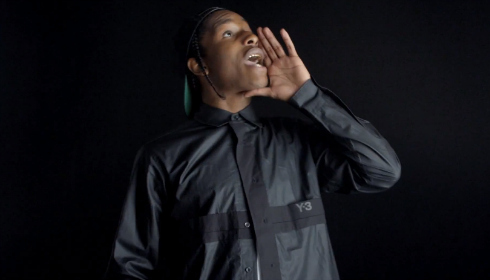 A$AP Rocky draws on rap, poetry, spoken word, and urban tall-tale storytelling in the piece. Identifying some of the ways that he does so had me assuming the role of cultural historian. I was uncomfortable simply deciphering the words for a piece that was in fact an advertisement for a corporate product. Thus, I tried to consider ways that the lyrics were designed to encourage particular action, in this case, the potential act of purchasing basketball sneakers. Funny how what began as an attempt to annotate some rap lyrics became an effort to decode aspects of Adidas's marketing strategy. So far, I have provided 22 annotations for the piece, and plan to provide several more moving forward. Once I'm done, I hope to have an even better sense of what's possible as an rap annotator, cultural historian, and marketing analyzer.